This Montego Bay daughter was the Res. 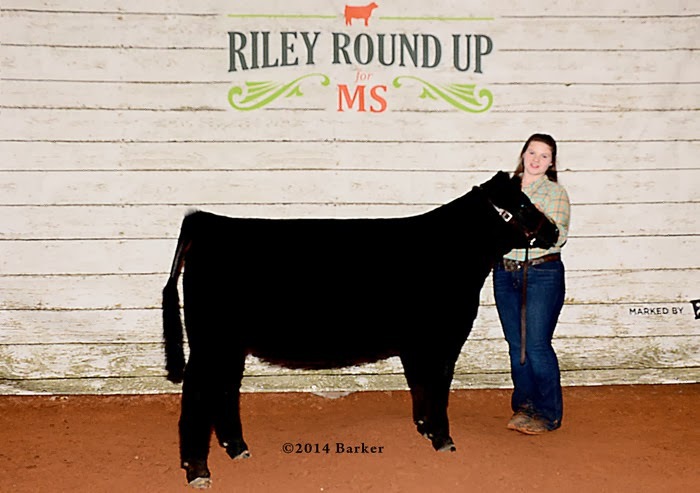 Maine Heifer at the Riley Roundup for MS in both Ring A and B. See her at the Ft. Worth Stock Show Jr. Heifer Show and Open Maine Anjou Show. Just look for the ZNT Cattle logo. Thank you Haven and Will for all the help with this heifer and the other cattle at ZNT Cattle Co.